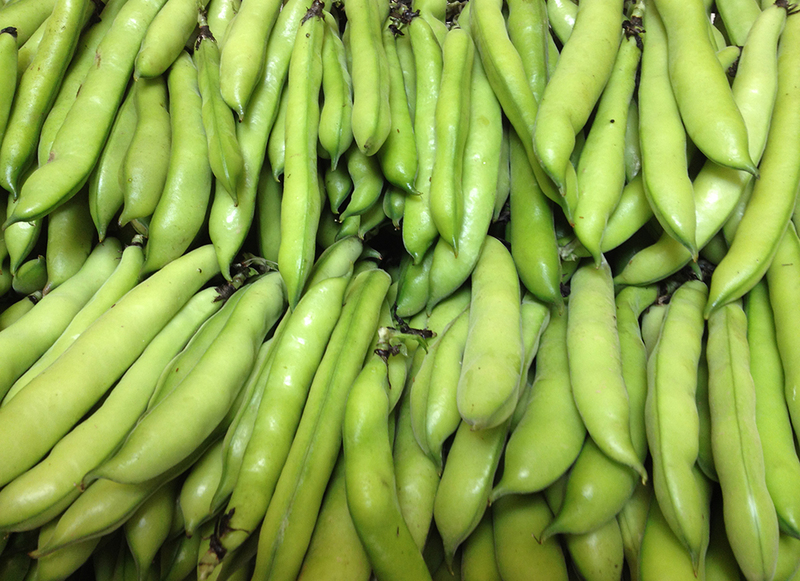 Fresh broad beans are a rare find these days; if you do find them in the shops, they’re often old and chewy. Don’t be fooled! Fresh, young broad beans are tender and delicious, celebrated by celebrity chefs when the summer vegetable season comes round. Broad beans – called fava beans in some countries – grow in pods on tall stalks, and crop in June and July. We sow broad beans in two lots to extend the harvesting season: one winter sown crop and a later spring sown crop. When broad beans are mature and ready to pick, you will be able to see their shape through the soft pods. Gently feel along the pod to check for bean size; broad beans are best picked when 10-15mm long. Snap the whole bean pod off where it joins the stalk. Pick into any size bag – broad beans don’t bruise easily when in their pods. 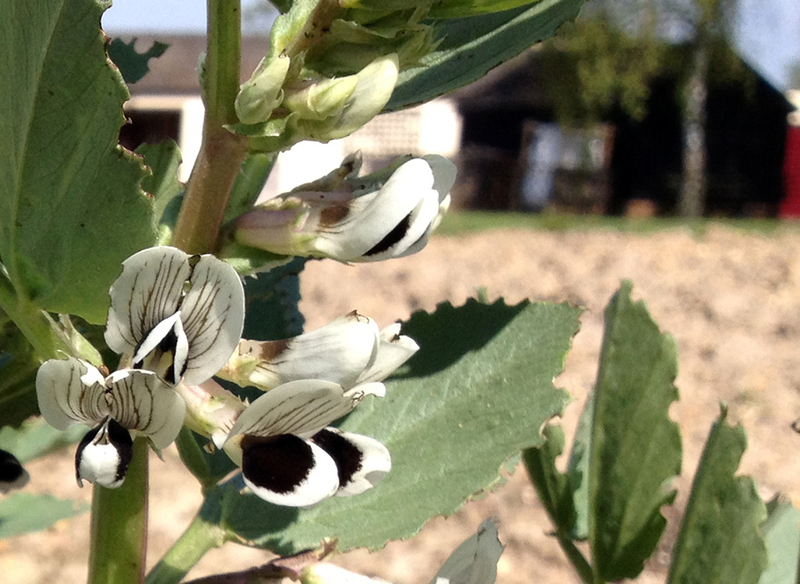 Wear light gardening gloves to avoid the broad bean pods leaving a black stain on your hands. Store broad beans inside their pods until ready to eat. Again, wear light gloves when preparing broad beans to avoid staining your hands black. Snap the top off of the pod, pulling the pod’s side ‘seam’ off with it. Slide your finger down inside the pod to pop the beans out. Cook straight away, or freeze the beans in sealed bags. Broad beans have an extra skin on the outside of each bean which you can remove by blanching. If the bean is young enough, we don’t bother removing the outside as it’s just as tender as the bean. Fresh, young broad beans are delicious steamed for about 10 minutes, then simply served tossed in butter and black pepper. For more ideas on how to eat broad beans, check out our favourite recipes. We predict that the 2019 fruit season will start in early June. Until then, freshly frozen fruit is available all year round in the farm shop, open 9am – 6pm daily. Sign up to our email to receive the latest news about the summer fruit season. McLauchlans of Boxted Copyright © 2019. All Rights Reserved.